Nitrous oxide (N2O) emissions have been repeatedly observed during microalgal cultivation and from microalgae-based ecosystems such as eutrophic lakes. Various studies have unambiguously demonstrated N2O synthesis by axenic unialgal cultures and identified several potential microalgal N2O pathways. Based on these data, several studies have also reported that N2O emissions during microalgal cultivation (for e.g., biofuel feedstock production) could be significant at large scale. In this review, we also conservatively estimate that the currently unaccounted N2O emissions from eutrophic lakes alone could yield global N2O emissions equating to 18% of the N2O currently accounted from all rivers, estuaries, and coastal zones. 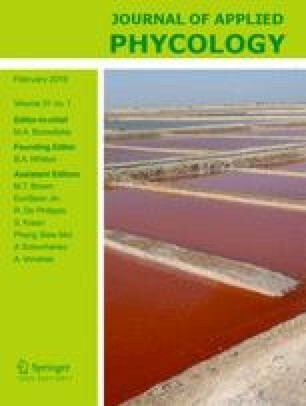 While these estimates are highly uncertain given the lack of knowledge in the area, they support a case for improving mechanistic understanding of pathways and key triggers of microalgal N2O synthesis considering that (i) microalgae are ubiquitously found in natural ecosystems and may be cultivated at a massive scale in the future; (ii) N2O synthesis by axenic microalgae cultures has been unambiguously demonstrated, and current knowledge provides the foundation for six putative N2O synthesis pathways in microalgae; (iii) N2O emissions have been repeatedly reported from a diverse range of aquatic ecosystems characterized by a high level of algal activity; (iv) the Intergovernmental Panel on Climate Change does not currently consider N2O emissions potentially generated during algal blooms or algae cultivation. This research was supported by Massey University and the Marsden Fund Council from New Zealand Government Funding, administrated by the Royal Society of New Zealand (grant MAU1102).